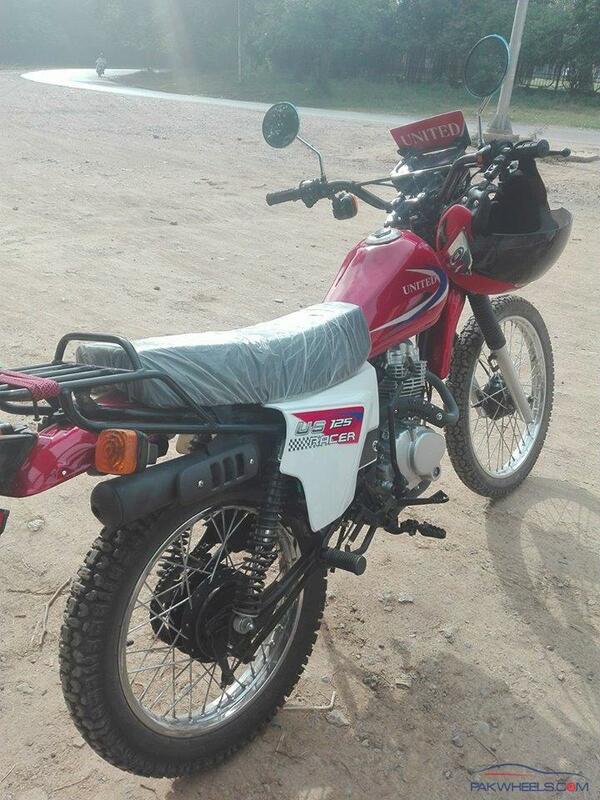 NOTE: This bike is copy of Qingqi DP 150cc, Only Engine has been downgraded to 125cc rest each nut bolt is of the same bike. All reviews shared after Testing. 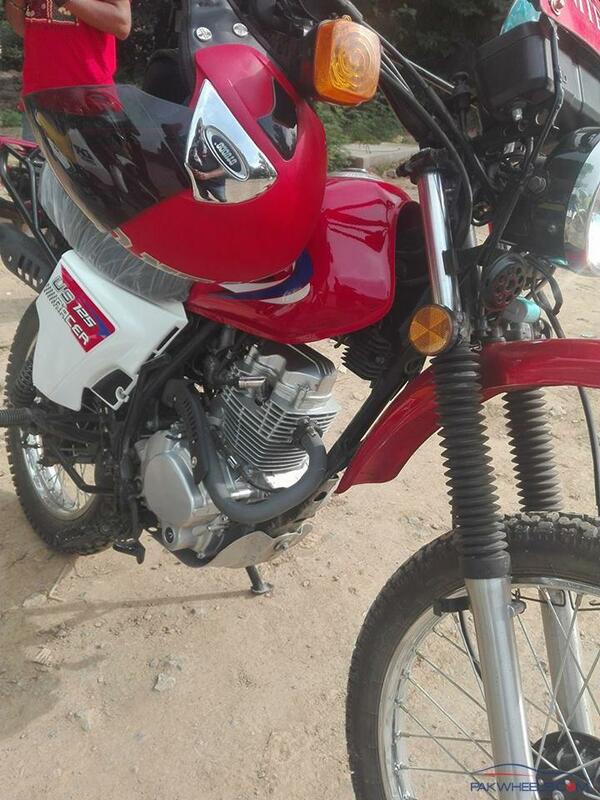 As above mention that it is the copy of the Qingqi DP 150cc so body weight is also same for 125cc engine. 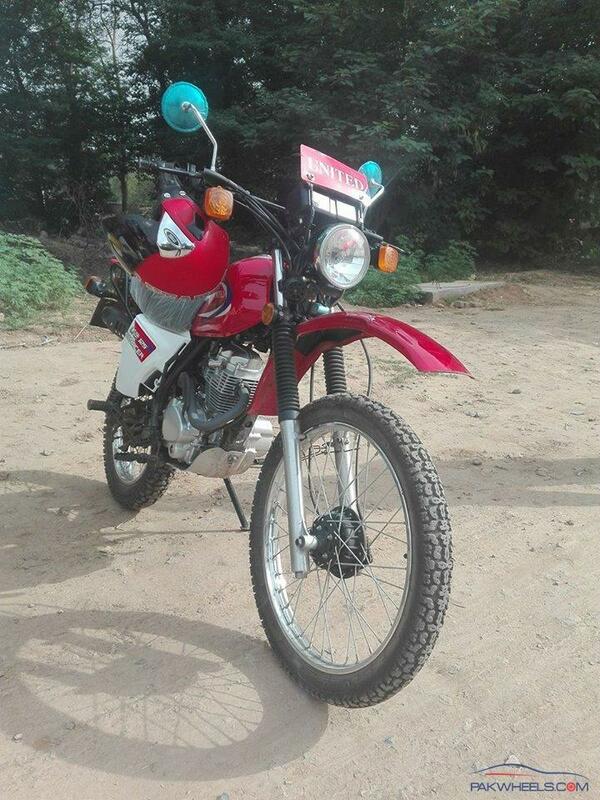 Comparatively 125cc engine of other Street bikes available in market it is low powered. (Power in sense of initial Pick), Even are high RPM at low gears, its output torque is very less which will give tough time on higher altitude. Trails demand higher power in the initial because when you do off road you are in low gears for quickly passing all trains of mud, rocks, water & heights. Shifting of gear is smooth but if you give higher rpm in 2 or 3 complete bike will vibrate. Which is not an issue as chines don?t put balancer shaft in small engine to control vibration. Dual purpose Tyres, with very good thread will help you in Off Road-Mud & Rocks. 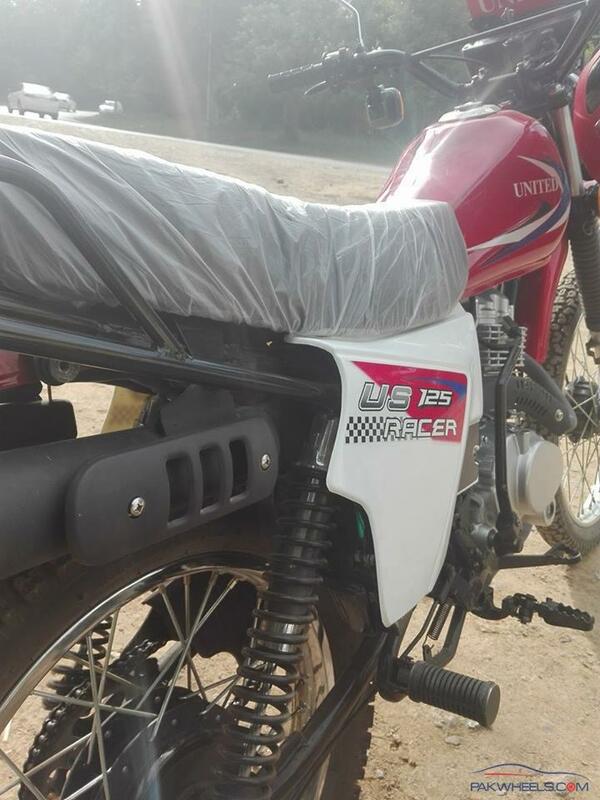 Tuning is must from Expert - Other thing which need to recheck (Carburetor, Taped Adjustment, Oil Checking, Front Shock Oil Change & Setting, Break Leather Checking, Column Alignment, Chain Replacement with good brand, Complete body Inspection, Tight up all the nuts & bolts). Very Good Height, Self & kick both options are available. Light weight, easy handing, Round light with good focus on road. Not satisfy with the engine power. 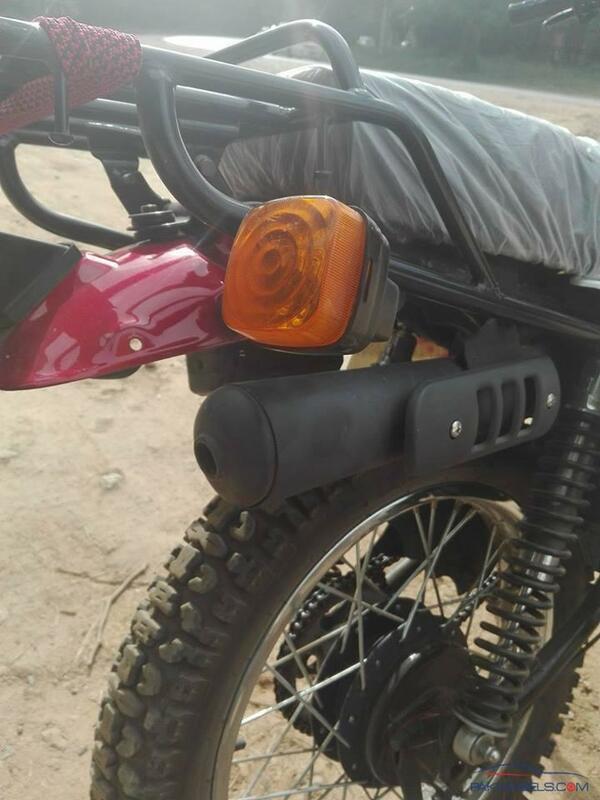 for 95 thousand Rupees, they cant even align the rear light of the bike with rest of the bike. as this is a public thread and everyone is entitled to their own opinion, this is a very ugly ugly ugly bike. the quality of the bike in pics seems it would hardly serve the purpose of TRAIL bike. Tyres Brand name? .. Sprocket info??? Engine Mounts type??? Engine type?? Fuel tank capacity and any replacement option for tank?? Handle grips quality??? Chain number ??? Will add info dont you worry .... 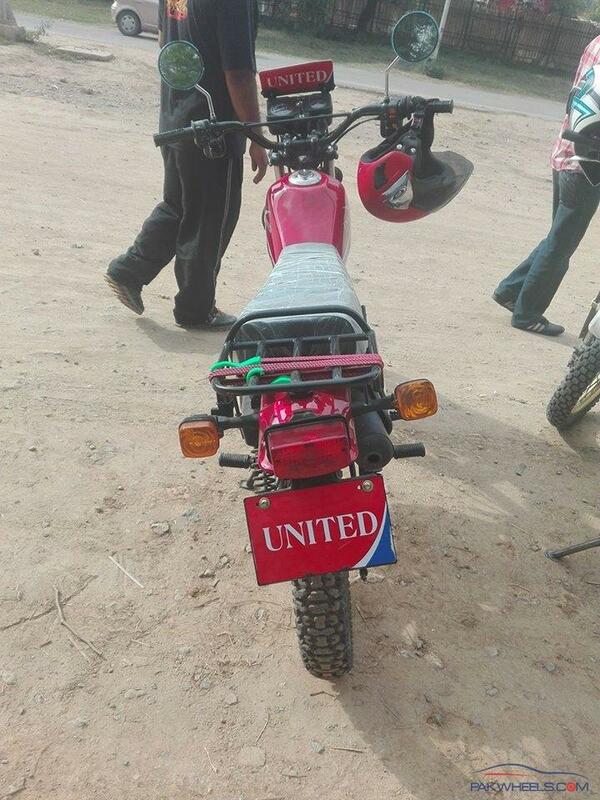 Regarding Tank replacement you can customize on any bike..
Pagal ha kya 33k. Bilkul theak ha. Kuch lena hota nhan ha or batain dekhu in logon ki. Your location ? Also wht setting he change can you share some details ? The bike has alot of potential. Along with 125 carb and self-start/CDI, is it possible to also add disc breaks to this? Bhaiyo i am from lahore pakistan... I need to know about this bike because i loved it and wanted to buy.... Please advice me..
Can Anyone tell me k isskey andr garari set konsa lagega? Can we shove gto 125 engine with some necessary alterations in this trail...... actually trail of this shape is incomplete without smoke and 2 stroke sound.